Organisers FIA and ACO confirmed the entry of two vehicles and the members of the new driver squad in an online press conference held today. 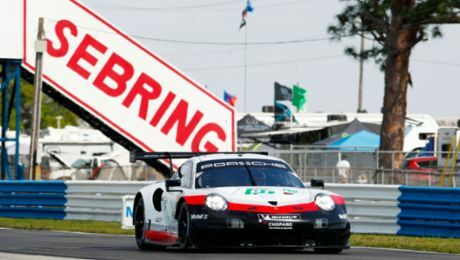 Porsche has completely reworked the Class 1 prototype 919 Hybrid propelled by more than 662 kW (900 hp) and will start the 2017 season with its sights set on winning the 24 Hours of Le Mans and the FIA Endurance World Championship for the third time in a row. “We want the hat-trick”, declares Fritz Enzinger, Vice President LMP1, setting out the ultimate goal of the 260-strong team in Weissach. 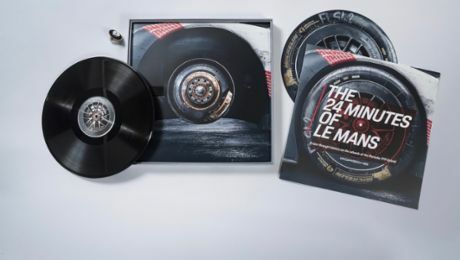 In both 2015 and 2016, Porsche swept the board, winning the team's 17th and 18th overall victory in Le Mans and securing the title of both Manufacturers' and Drivers' World Champion. The evolution of the Porsche prototype will be unveiled on March 31 at the Autodromo Nazionale di Monza. Following this, all teams will perform official test drives on April 1 and 2 at the FIA WEC Prologue in Italy. Team manager Andreas Seidl will continue to serve as acting technical director. 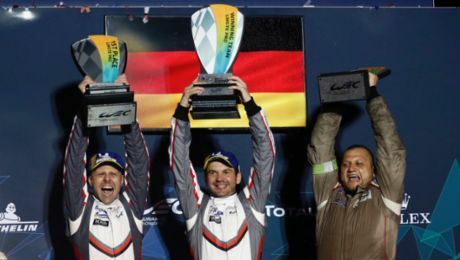 With its unique efficiency regulations for Class 1 Le Mans prototypes (LMP1), the WEC represents an ideal platform for Porsche – and it was these regulations that fuelled the company's return to elite motorsport in 2014. The regulations provide en-gineers with an unusual degree of freedom to introduce different drive concepts and require forward-looking technologies such as hybridisation, highly efficient engine downsizing and consistent use of lightweight construction. As a result, the WEC provides the perfect platform for Porsche AG to develop and test innovations for road-going sportscars. The hybrid drive on the 919 combines downsizing turbo technology with efficient direct fuel injection for the two-litre V4 combustion engine and uses a lithium-ion battery to store electrical energy from two different energy recovery systems (brake energy from the front axle and exhaust energy). The 919 Hybrid is the only prototype to recover energy during acceleration as well as braking. It boasts a system output of more than 900 hp (662 kW) and Porsche has already channelled a number of the Hybrid's features into the development of its road-going sportscars. The most obvi-ous example of this is the 800 volt technology for the purely electric concept study Mission E, which, among other things, enables extremely short battery charging times. This four-door sportscar study is set to enter series production before the end of the decade.